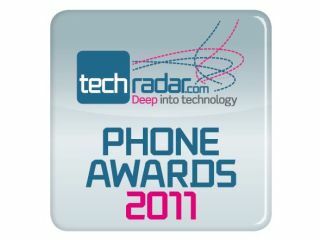 TechRadar Phone Awards 2011 are here! The TechRadar Phone Awards 2011 have officially launched and we are asking you to have your say on the latest phone tech. Over the last 12 months the smartphone market has become the most exciting area in technology, with a number of companies fighting it out to bring the best, most innovative mobile phones to market. As TechRadar is a massive champion of the mobile phone sector, we thought it only right that we create the TechRadar Phone Awards. To judge the awards, we have some of the biggest names in the UK tech industry – including journalists from Gizmodo, the Telegraph, Sky News and MSN. But it's the people's vote which is the most important thing to us. That's why we have split the awards in two, with six categories voted by our esteemed judges and six by you, the real people using these phones every day. So, you will be able to throw in your two cents on such things as the Best App of the Year and Best Phone Feature. We have made voting as easy as possible. All you have to do is head over to http://awards2011.techradar.com/vote and cast your vote. And if you find yourself on any of our mobile phone pages over the next few months you can also access the voting section of the site through our handy voting widget. You can also get involved on our special TechRadar Phone Awards Facebook page where we'll be 'encouraging healthy debate' (picking fights) and to have your say about what's pushed your buttons in the mobile phone world this year. And that's not all – you can also try your luck at our competition, which could bag you one of 10 Windows Phone 7 handsets. So, what are you waiting for? Scoot on over to The TechRadar Phone Awards 2011 now and get voting!